prospects for a common regulatory framework. Most of the existing European Union and international policies are considered in some depth, and the authors also discuss a variety of national laws and initiatives, technical measures, and the soft law and hard law models that have been proposed. 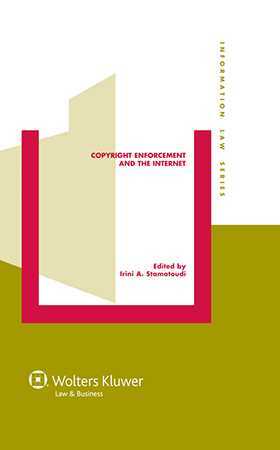 In the years to come, as more and more lawyers are confronted with issues involving copyright enforcement on the Internet, this book’s value as a springboard to the informed future development of this area of legal theory and practice will become more evident. For this reason, as well as for its richly detailed treatment of trends and current reality in the field, it is sure to be read and put to good use by business people, international lawyers, government officials, and interested academics in all parts of the world.